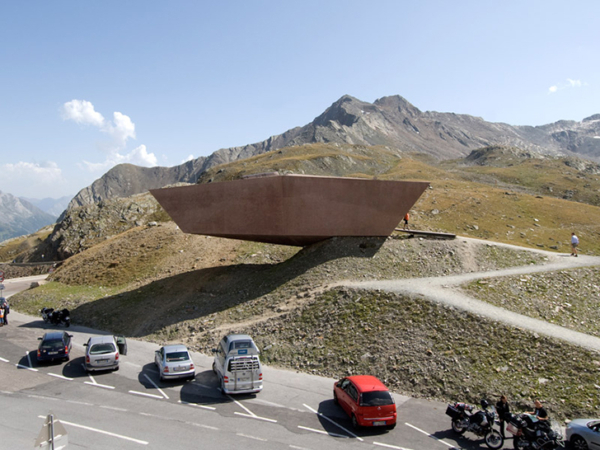 Erected at a height of 2,509 meters on Austria–Italy border, the Pass Museum Timmelsjoch is a brown building looks like an erratic boulder hanging at the edge of the rocks. 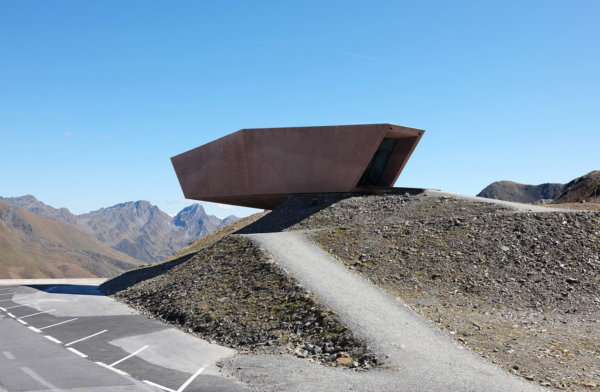 As a multi-country project documents the history of the region, architect Werner Tscholl created modern sculpture architecture at several bold spots of Timmelsjoch pass. 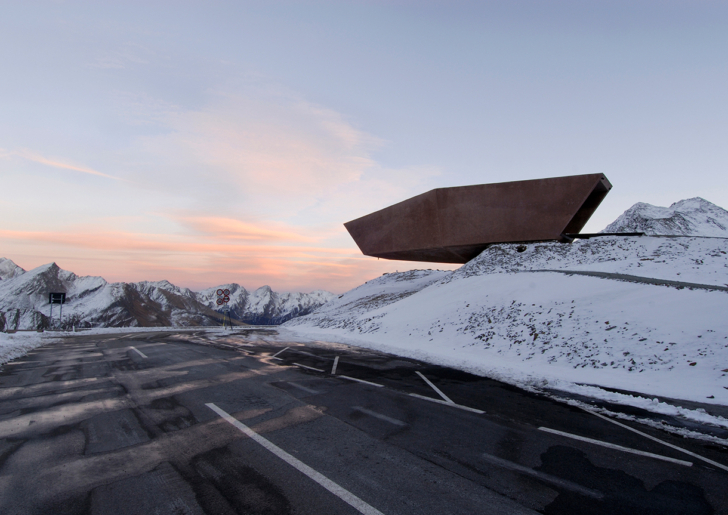 The foundations are located on the North Tyrolean side, the floating body goes beyond the foundations and the country border by 16 meters. 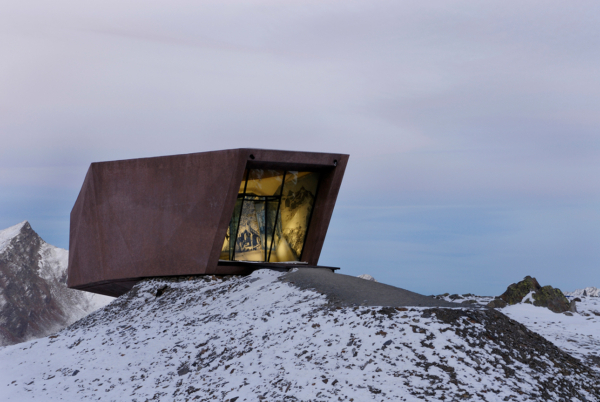 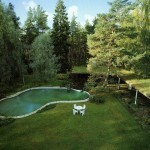 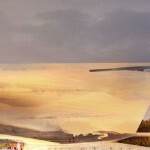 The shape and the discreet coloring of the museum integrate the building in its natural surroundings. 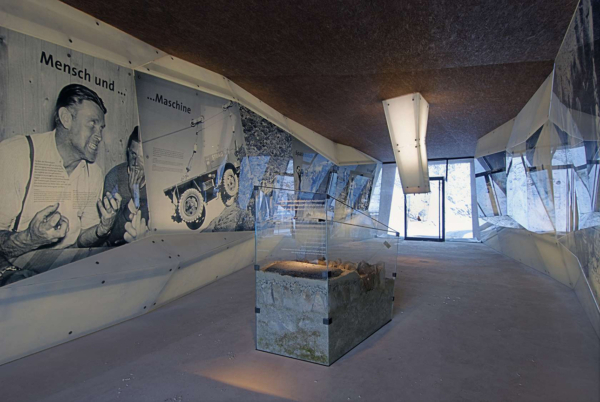 The inside resembles an ice cave, historical photos behind glass at the walls showcase the history of this road across the high Alps. 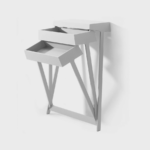 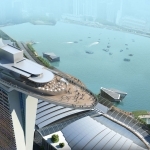 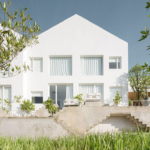 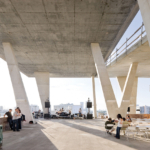 design elements includes both the necessary information, as well as the associated experience factors is realized in the form of architecture-sculpture. 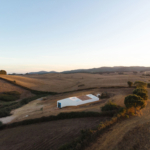 All elements are on the road construction pioneer performance also in relation to the landscape and topography of the place, and occur by means of uniform material and color adjustment in the background. 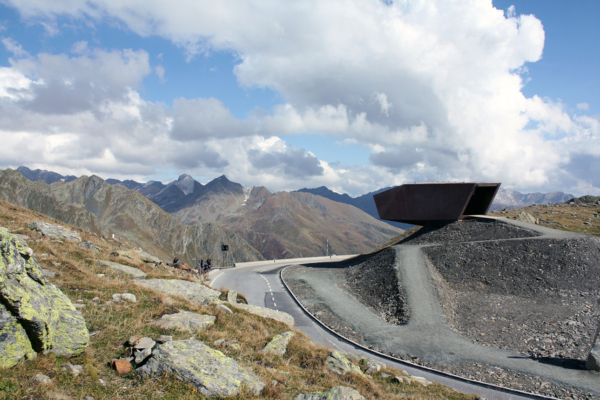 Architectural sculptures located at several stopping places along the road, take the Timmelsjoch Experience. 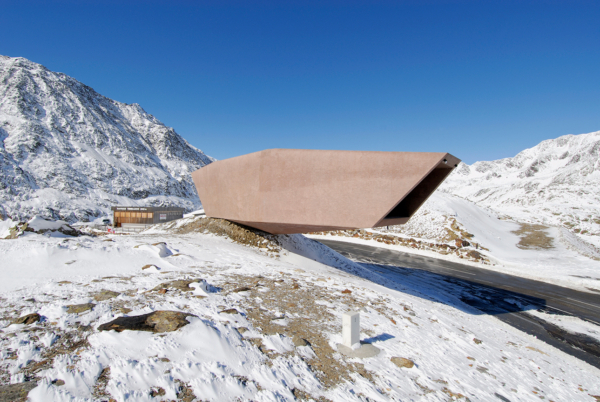 The innovative Walkway opens up at the site of the toll booth in Hochgurgl offering stunning views across to the far end of the Ötztal valley and its awe-inspiring proliferation of 3,000-metre peaks. 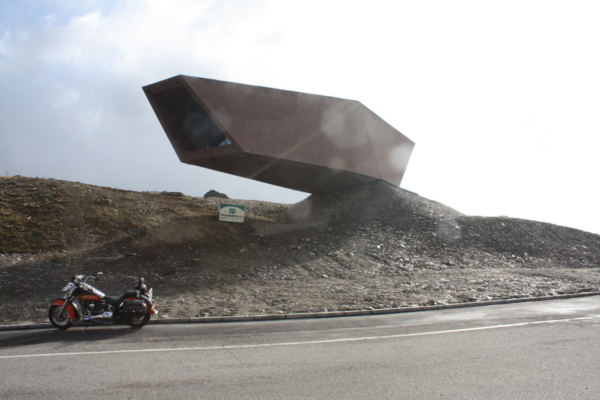 Smugglers is a walk-in cube built at the spot where the Timmelsjoch road crosses the ancient trail that leads from Zwieselstein to Moos im Passeier. 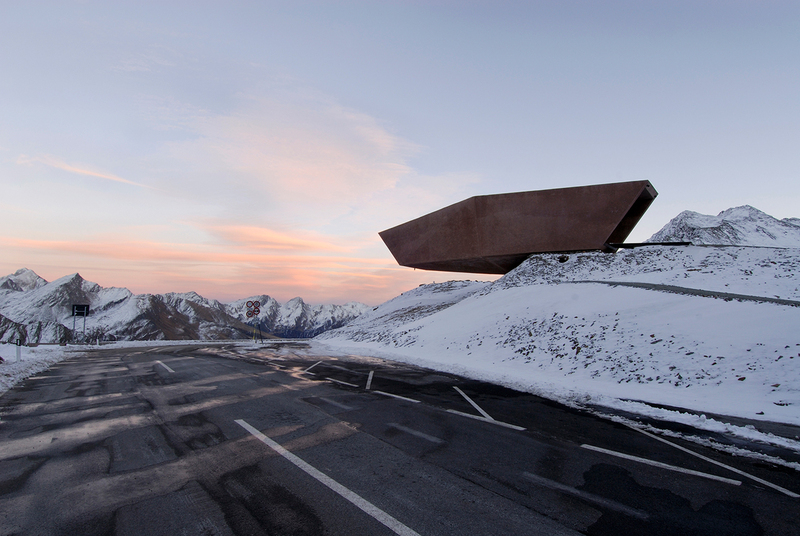 The Telescope offers a superb 180° panorama view on the Granatkogel and the Hohe First which stand out prominently from the eternal glacial ice.